It was January of 1955 when C.B. Thomas, president of the Pipestone Radio Corporation, was granted permission by the FCC to construct a radio station. It was located in Pipestone, MN and used the call letters "KLOH-Land of Hiawatha". Five months later, station manager Dalton Nelson put KLOH on the air operating with a power of 1,000 watts. 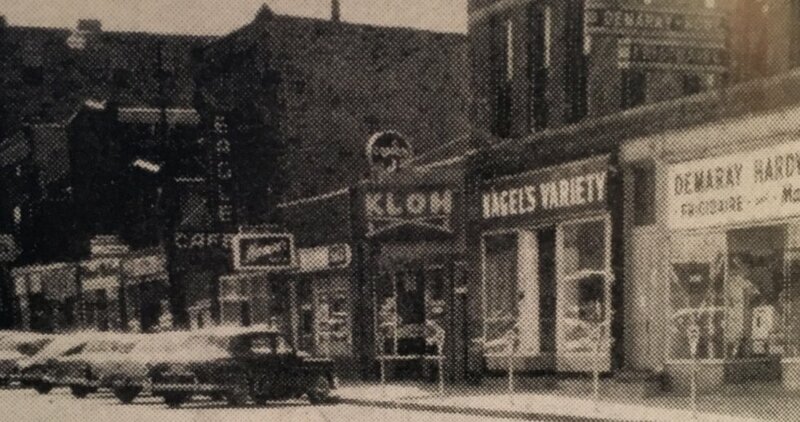 In the early years KLOH broadcast during daylight hours only and the studio was in the basement of a building in downtown Pipestone. In 1961 the studio was moved to its present site, one mile west of town on Highway 30. In 1962 the station was purchased by Ingstad Corporation of North Dakota. The following year KLOH started playing rock and roll on Saturday afternoons and listeners were able to request their favorite songs. Soon rock and roll music was being heard every weekday afternoon and evening. Disc Jockeys included Doug Wagner, 2009 SDRRMA inductee Ken Mills, Gregory J. Christ, Wally West, and Greg Ausham. Not only did they play the hits, but album tracks as well. Teens and young adults eagerly waited to hear where bands were playing on the weekends as KLOH advertised for all the area hot spots. Wally West, whose real name was Wallace Christensen, later became general manager and eventually purchased the station in 1976. In 2009 he was inducted into the Minnesota Broadcasters Hall of Fame. Today his two sons, Collin and Carmen, are the station managers. In 1969 a sister station named KLOH-FM was introduced and later the call letters were changed to KISD. Power was increased to 9,000 watts, broadcasts were converted to stereo, and music is played 24 hours a day. Over 650,000 listeners in a three state area enjoy "True Oldies 98.7". DJ Mylan Ray has been a fixture and on air favorite for many years as KLOH continues to be one of the best rock and roll stations in the Upper Midwest.